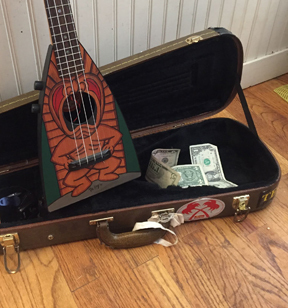 From what I have found, Duke Kahanamoku Ukuleles were produced in two styles, Pineapple, and "Standard" soprano. They were manufactured as tourist items and at the time of this writing, are still available in some Hawaiian souvenir shops. They range from fairly decent to "Tourist" grade. Generally the older, the better.